Out of the 190 AKC breeds, there are many that were bred as hunting dogs. Many of these dogs are retrievers, pointers, or spaniels. These dogs have the skills, instinct, and energy to be our companions in the field, and they have been doing so for hundreds of years. Now, when hunting opportunities are limited, many of these breeds compete in hunting events or field trials, so they can practice and exercise their innate abilities. The most popular dog in the United States, the Lab is, as his name suggests, a retriever. 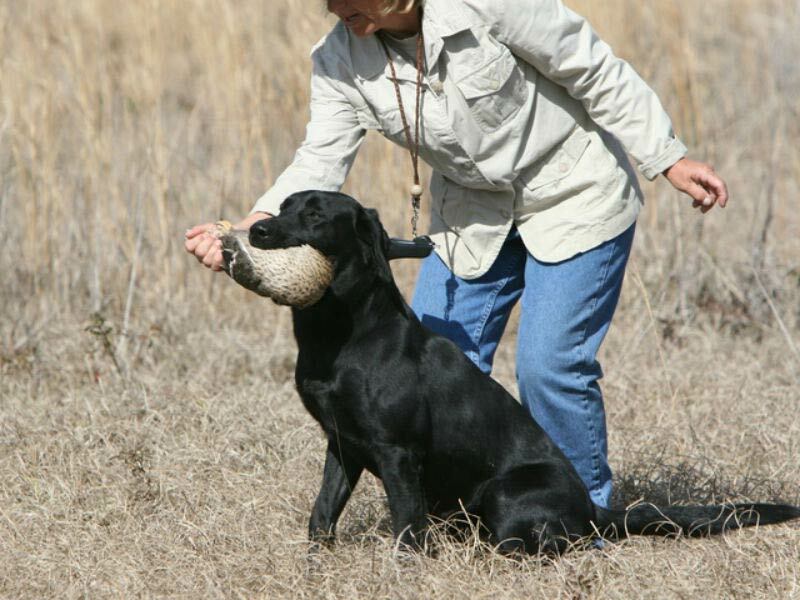 Labs were brought to England in the 19th century and refined into a sporting dog for waterfowl and upland game. These dogs became popular with sport hunters, and were recognized in Britain in 1903. After World War II, the Labrador Retriever also became a popular hunting breed in the U.S. Now, these friendly, active, and outgoing hunting dogs are also known as excellent family companions, as well as search and rescue, police, and service dogs. 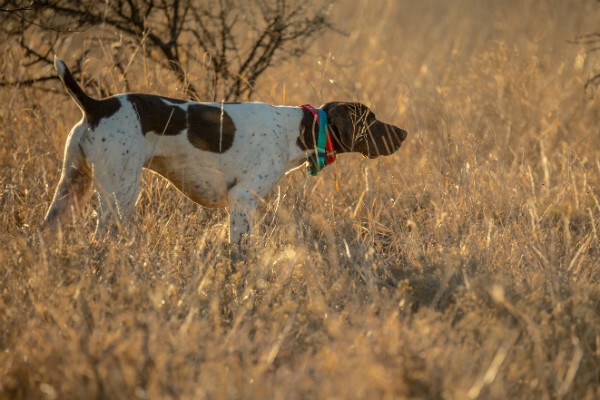 The German Shorthaired Pointer is a versatile hunter and all-purpose gun dog. The breed was developed in the late 1800s to be suited for multiple tasks like pointing, retrieving, trailing game, and hunting small and large game. As a result, the German Shorthaired Pointer can perform almost any type of activity and is a very skilled hunter. GSPs are also known for being friendly, smart, and willing to please. These dogs are great companions but need exercise to satisfy their high activity level and sporting dog roots. The Brittany is named for the French province in which he originated. This versatile breed was developed in the early 20th century to create a superior pointing dog. 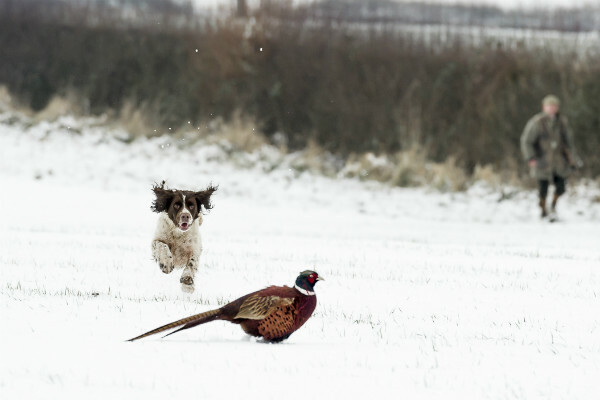 The Brittany’s high intelligence, combined with his quickness, makes him an ideal hunter. When the breed was introduced to the U.S. in the 1940s, he quickly became popular with hunters and has been popular as a companion and sporting dog ever since. In addition to his hunting abilities, the Brittany’s energy and athleticism make him a great obedience, agility, and field trial competitor. The Boykin Spaniel is a unique hunting dog, originally bred by South Carolina hunters. He was developed to hunt wild turkeys in the Wateree River Swamp during the early 1900s. The Boykin’s physique is perfectly suited for his work. He moves effortlessly, with a balanced gait typical of durable gundogs, and his brown coat acts as a camouflage. 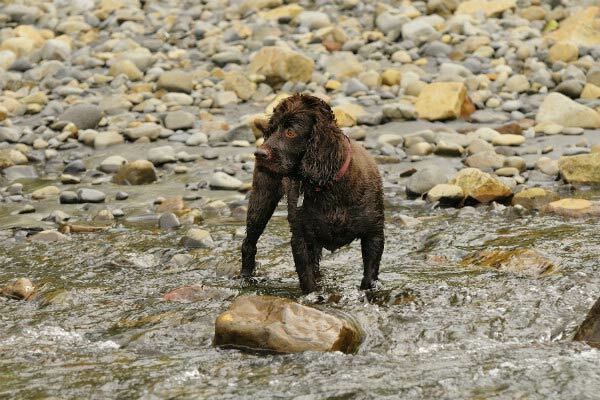 The Boykin Spaniel can hunt in the swamps of South Carolina, and he also can adapt to the dove fields and duck marshes. In addition to his impressive hunting skills, the Boykin is a fiercely loyal companion. Like the Labrador Retriever, the Golden Retriever has a sporting and hunting history. His ancestors were known as “yellow retrievers,” and due to their versatility and trainability, they became very popular with sportsmen in the late 19th century. 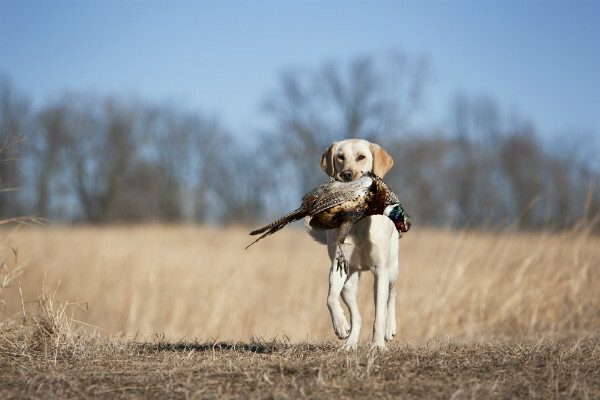 The Golden’s affinity for water and his medium-to-large size provided hunters with a dog that could perform with upland game and waterfowl. 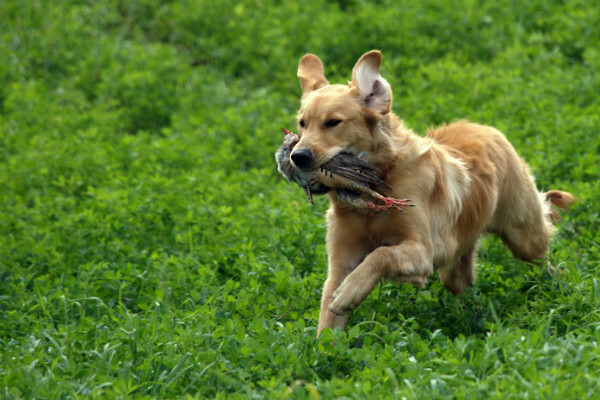 Since their first placing in a field trial in 1904, Goldens have been known for their hunting and field abilities. The Golden Retriever’s intelligence, energy, and friendliness also make him a great dog for families, an excellent sporting event competitor, and an enthusiastic working dog. The Vizsla, also known as the Hungarian Pointer, is a sporting breed developed in medieval Hungary as a hawking dog. Later, he was used as a gundog, due to his excellent pointing and retrieving abilities. 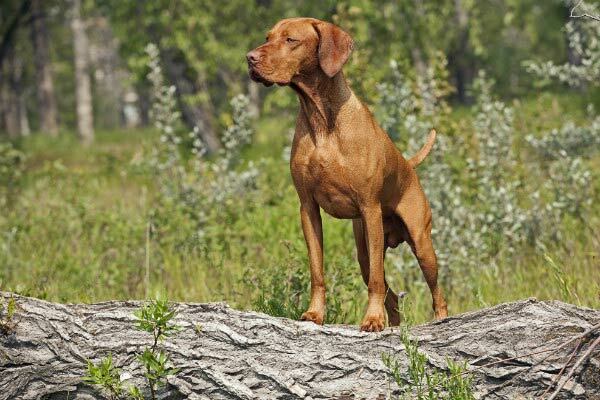 When the Vizsla was brought to the United States, his hunting skills were quickly recognized, and he was used for hunting upland game, rabbits, and waterfowl. The Vizsla is an extremely driven and active dog. He is easily trainable and is known for being gentle, affectionate, and enthusiastic. In the late 19th century, spaniels from the same litter were divided into “cockers” and “springers.” Springers were larger dogs used for flushing and retrieving game. The English Springer Spaniel came from these springers and was developed as a companion gundog. Springers participated in competitive field trials and continue to do so today. 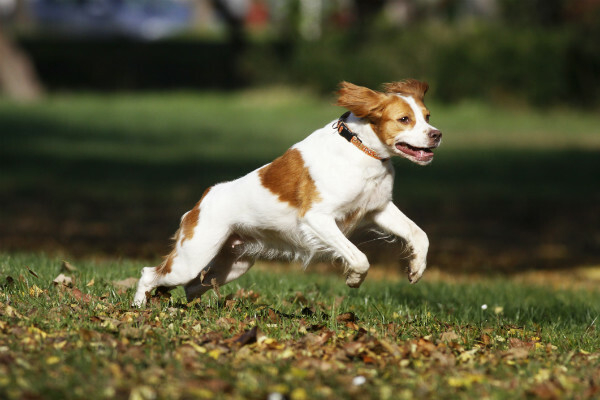 The energy, stamina, intelligence, and “rear drive” movement has made the English Springer Spaniel one of the most prized bird dogs. This breed is also known as friendly, playful, and obedient. 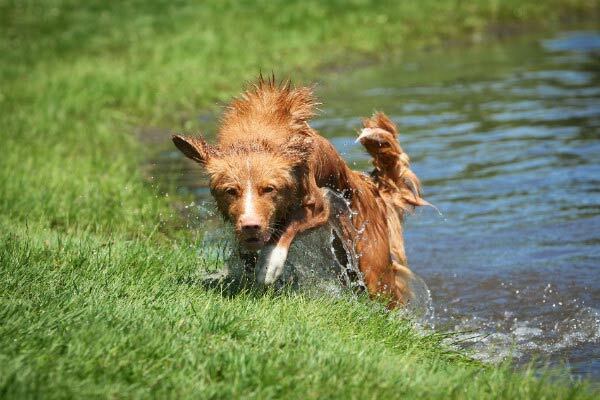 As his name suggests, the Nova Scotia Duck Tolling Retriever is known for his ability to lure ducks during hunting. This dog originated in Nova Scotia in the early 19th century and was known as the Little River Duck Dog. Tollers were used as decoys to distract waterfowl. The dogs would use their playful nature and fluttering tails to draw in ducks to the shoreline, where they would then be in the range of hunters. Today, many Tollers compete in hunting trials. They are known for their intelligent, outgoing, and affectionate nature. Learn more about hunting and field trials here.